The ASA Certification Body (ASACB) is an ANAB accredited provider of management system registrations to ISO 9001, AS9100, AS9110 and AS9120. ANAB assesses and accredits certification bodies that demonstrate competence to audit and certify organizations conforming to management systems standards. ASACB is the trade name ASA is using for its ISO 9001, AS9100, AS9110 and AS9120 certification activities. 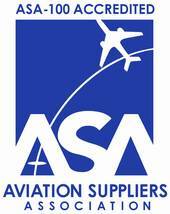 ASA has been conducting aviation quality system audits since 1996. Our auditors and staff understand aviation companies' business operations. What certification services does ASACB provide and what audit services does ASA provide? Coordinate your audit certification needs! Specific to aviation parts distributors, ASACB offers a combined audit to ISO 9001 and/or AS9120, FAA AC 00-56B and ASA-100. Upon a successful completion, ASA will provide a separate certificate for the successful completion of the FAA AC 00-56 audit and ASA-100 audit. The International Accreditation Forum (IAF) and the International Organization for Standardization (ISO) have put forward a statement regarding what are the expected outcomes from accredited certification to ISO 9001. This document may be useful in understanding what an accredited certificate means. It is the policy of ASACB to provide it’s interested parties a level of satisfaction that meets their needs and expectations through a certificate program that utilizes experienced and professional auditors that are supported by a customer service driven organization. ASACB strives to continually improve the effectiveness of our QMS and ensure that our Quality Policy provides a framework for our objectives and goals. Whether you have questions about steps for certification; status of an ASACB certificate; the name, standard, scope and city and location for an ASACB client; geographic regions in which ASACB operates; usage of trademark; timeframe for certification; or other items - we will provide answers, just e-mail or call 202-347-6899. To navigate this section, click on the links below.